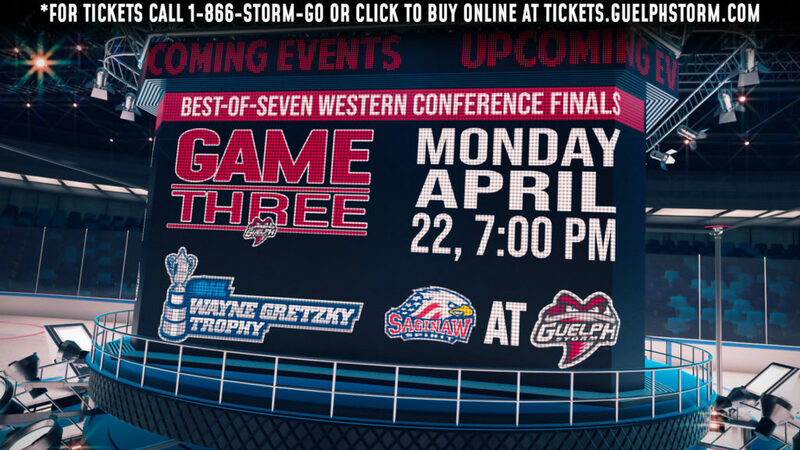 London – Friday night in London, the Guelph Storm edged the Knights 3-1 to force Game Six at the Sleeman Centre on Saturday night, April 13th at 7 pm. TICKETS ARE ON SALE ONLINE BY CLICKING HERE. The Storm Box Office will be open for in-person or phone orders at 10 am on Saturday morning. Dom Commisso opened the scoring mid-way through the opening period before the Knights’ Alex Formenton managed the equalizer in the closing minute of the frame. 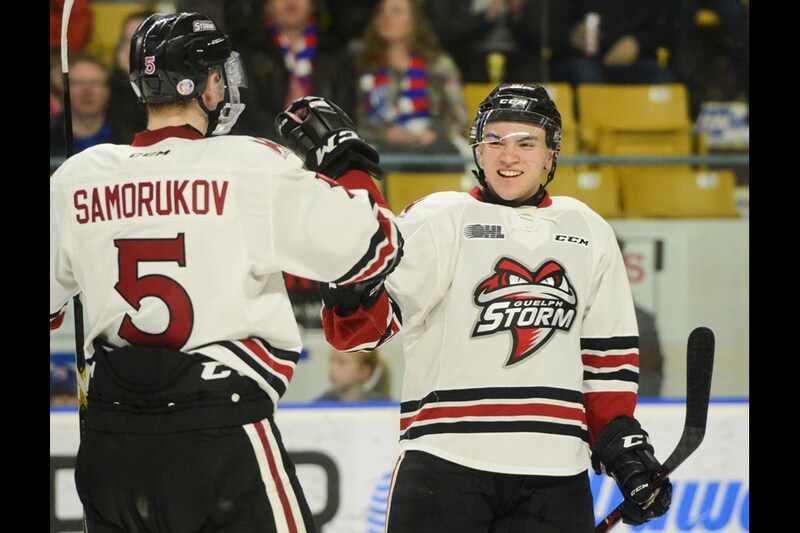 After a scoreless second period, Nick Suzuki snapped the eventual game winner past Jordan Kooy early in the third. In the closing minute, Suzuki added a much needed insurance marker into the empty net to complete the scoring. 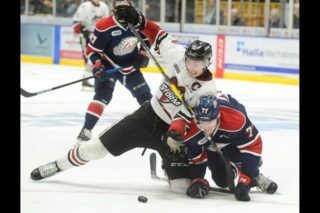 The story of the game was the Guelph penalty kill which held the London powerplay off the scoresheet despite seven attempts. 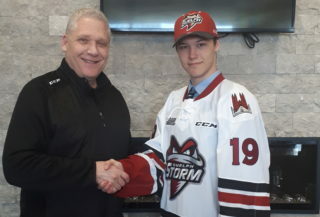 Anthony Popovich earned first star honours with his second straight stellar performance between the pipes for Guelph. 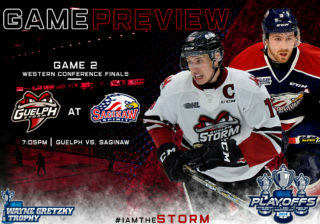 After falling in the first three games of the series, the Storm has fought back to force Game Six in Guelph with a pair of wins and trails 3-2 in the best-of-seven series.